Mrs Brown's Thoughts: What's in a name? I have noticed a change in me since becoming Mrs Brown. Now granted getting married changes more than just my name yet at the same time in some ways changes not a thing. We've lived together for 3years and been engaged for 2years, so the commitment and sharing of things has not changed. But yet I somehow feel there has been a change in me and I do feel that having a new name has played a part in this. Your forename is given to you at birth and many believe that it can shape your identity and personality. Many parents choose popular names, or names with great meaning but does this really impact on how your child will grow up? Was I named Clare because of the meaning clear and bright, Or Clare after a county in Ireland, Or after Saint Clare of Assisi with the hope I would follow in these footsteps? As I look up meaning of Clare I find myself seeing parts of 'me' in other people's suggestions. Could there be something in my name that makes me behave like every other Clare in the world?? In getting married I am still Clare all this may meant me, but I have change my surname. Surname - the name that attaches you to a family. This is the part of your name that does link you with other people. It western culture this is known as the 'family name' and comes after your 'given name'. When I look up Brown (Wikipedia - the font of all knowledge, not!) says it is of Scottish origin. This pleases me as I am very proud to be Scottish and live in Scotland so maybe this somehow anchors me, makes me feel part of something. It also says it is one of the most common family names in English speaking countries, I found this out when I changed my name at work on the computer system and went from being the only one with my maiden name to One of 55 Clare Browns!! But what I truly believe the name change has done for me, is that it has allowed me to choose who I want to be. To choose to let go of certain things in my past and look to the future. It has allowed me to become part of a new family, and also to look forward to making my own family. I have used Mrs Brown on twitter and my blog as it gives me some anonymity but at the same time it is my name! This allows me to be the Mrs Brown I want to be. 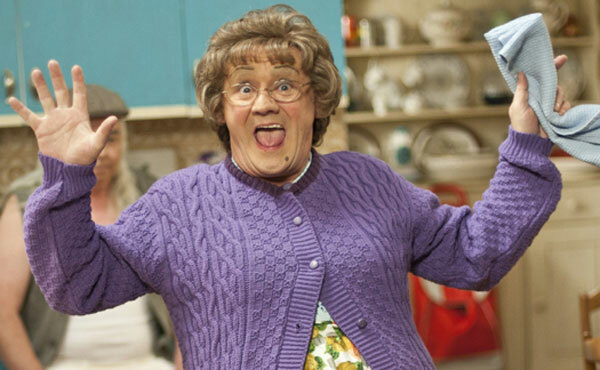 Also knowing that I have this Mrs Brown to be compared to helps lighten my character! New Car equals Road Trip!